America Rising PAC - Who Will Break Their Anti-Pelosi Promise? Who Will Break Their Anti-Pelosi Promise? Today, House Democrats will cast their vote for the next Speaker of the House. 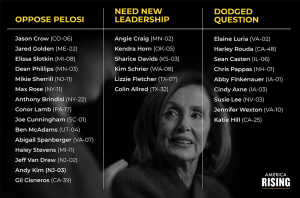 Thirty newly elected Democrats campaigned on opposing a Pelosi speakership, called for new leadership, or have dodged giving an explicit answer. Gil Cisnernos and Haley Stevens have already caved to the pressure, while others are waffling and planning to vote “present.” Make no mistake voting “present” is a de facto vote for Pelosi by lowering the number of votes she needs to win. Who will stay true to their word and who will break their promise to their constituents with their very first congressional vote? 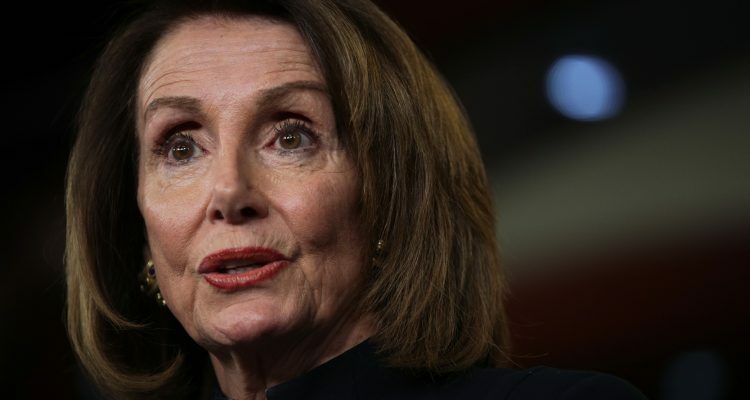 Washington Examiner: “Top Republican groups were planning Thursday to deploy trackers to Capitol Hill to corner newly sworn-in House Democrats who had promised to oppose California Rep. Nancy Pelosi’s bid to reclaim the speaker’s gavel.